What an awesome idea. Use acrylics to paint inside on glass then stem and finally the bottom of the wine glass as shown. 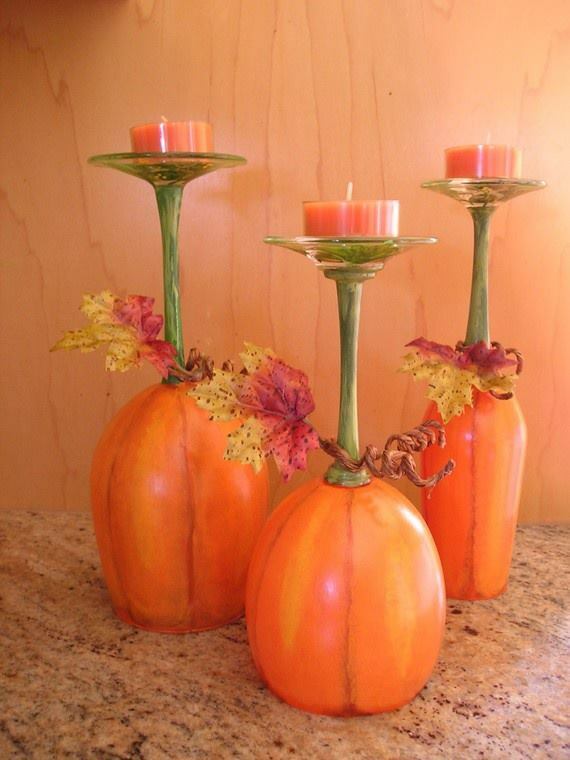 Add some little fall time leaves to the base and then finish it with a fall colored tea candle. For long term use you might want to seal with polyurethane. This entry was posted in ~Fall, ~Halloween, ~Thanksgiving and tagged acrylic, candle, cheap, decoration, dinner, DIY, holder, paint, pumpkin, ~Fall, ~Thanksgiving. Bookmark the permalink.